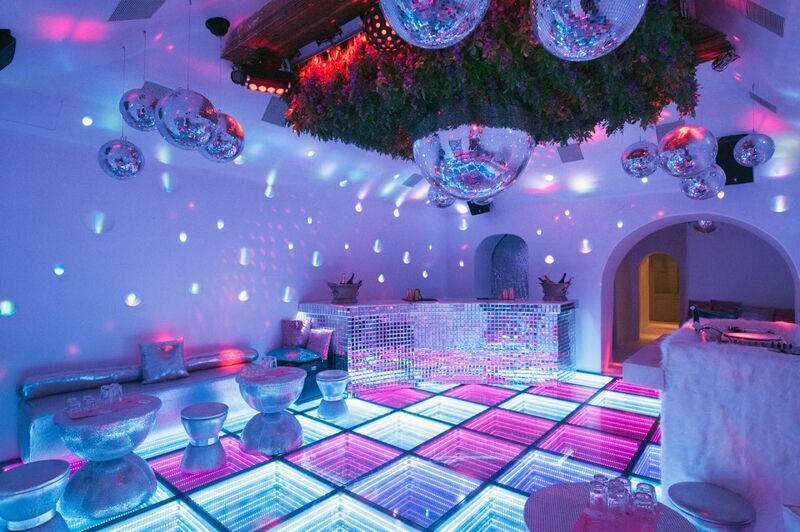 Cinderella discotheque in Mykonos is full of disco balls, glitter sofas, colourful lights and reminds us something from the past. With an exotic-looking “scene” and a colourful dance floor, Cinderella puts you in a dancing mood till dawn with 80’s and 90’s disco sounds, modern disco hits and house disco music. Inspired by the legendary Piero’s bar, a former icon of the Mykonos nightlife party scene, it’s the summer island outpost of the Cinderella club in Athens.